Starbucks is returning its brand to the top of Capitol Hill later this month marking the end of 15th Ave Coffee & Tea as an independently branded cafe “inspired” — and run — by the global coffee giant. CHS was briefed on the change Friday morning by a company spokesperson. While the change will mean a new sign and the return of the Starbucks logo to 328 15th Ave East, it will not mean an overhaul of the $100,000 makeover Starbucks gave the shop in the summer of 2009, we’re told. It will, however, mean permits will need to be filed for the new sign and new “equipment” that must be installed at the shop in order to return to full Starbucks operational power. When asked what kind of equipment was required, the Starbucks spokesperson confirmed that, yes, Frappuccino blenders will be added to the “eclectic and raw” reclaimed wood and concrete interior. 15th Ave Coffee & Tea opened on Capitol Hill in July 2009 amid controversy and skepticism regarding Starbucks’ intentions in mimicking local coffee houses. The skepticism was further entrenched later that summer as CHS reported on plans for a second indie concept shop opening up on the Hill, Roy Street Coffee. Roy Street — at least not yet — will not be part of this return to the Starbucks brand. CHS has been told that the Roy Street shop will continue to be operated as a “learning environment,” the position Starbucks has evolved for its indie-concept stores in recent months as it has rolled out an international effort to overhaul its offerings. The $550,00+ overhaul of the East Olive Way Starbucks in summer 2010 is part of this new wave — Starbucks branded but with a look and feel more tailored to the neighborhoods the stores call home. Going forward, it now seems clear, the coffee giant will be aiming for this upgrade of its core brand, not the creation of new ones like http://www.streetlevelcoffee.com. 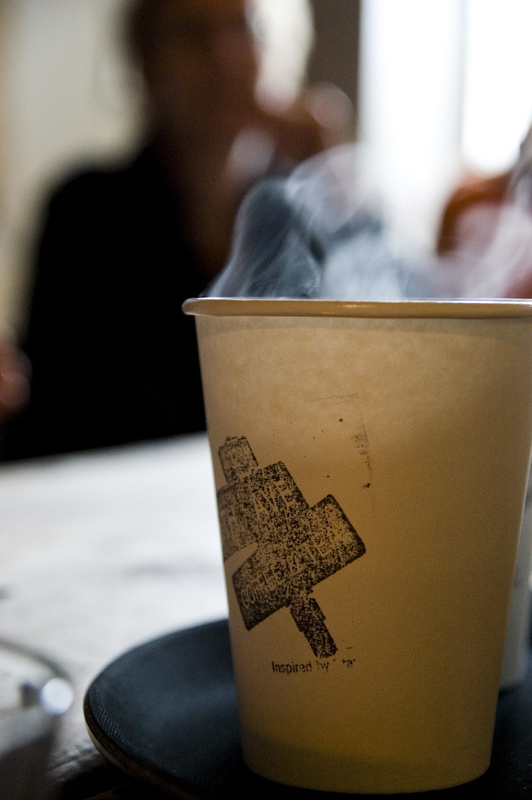 In the meantime, they’ve learned how to scale new offerings developed at the Capitol Hill shops as techniques like pour-over coffee trickle out to the global marketplace. It also sounds like this particular Starbucks’ era of experimentation has come to an end. According to the company spokesperson, no more “learning environment” cafes are being planned at this time. Starbucks expects the new sign to be up on 15th Ave East by the end of January. I think it is a great place to get coffee and hangout. I like it as is, but I can see why they’d want to add their logo to it. I still meet people that don’t know it’s a Starbucks. Hopefully they’re not making any changes other than adding the logo – I go there on a weekly basis for French conversation and it’s a great venue for it. Not to mention very close to home, and I’d hate it if our group had to move due to construction or reconfiguring of the space. I hope they don’t get rid of the selection of drip coffee that they make on the spot! That is my favorite part of 15th Coffee House!! It is like the end of a scooby doo episode! You know they would have gotten away with it, if it weren’t for those rotten kids! I was skeptical when it opened, but I went in one day and guess what? This place actually has excellent coffee. Are they replacing all that with generic Starbucks blends, or are they just renaming it? Did they say whether they were replacing their fancy espresso machine, too? That’s too bad, it really was a superior place to get coffee. It’s right next to the hospital where my son was born last year, and one of the awesome employees even bought me a beer for the occasion. As expected. One Fauxbucks down, the one on Roy to go. Just remember, all of these independent coffee shops have benefitted from Starbucks as well. Because Seattleites wouldn’t go to indy shops without Starbucks nearby. Puh-lease. Let’s not brainwash or be brainwashed. That one doesn’t float ’round here. Besides, who started that soundbite, Starbucks themselves? Starbucks is a fine replacement for McD’s. Big improvement, for sure, but… I still don’t need them on every street in my ‘hood, especially when we have much, much better options. Because somebody paved the way for so many people like yourself to spend so much money on an over priced cup of coffee on a consistent basis. Even in Seattle. Actually, Burnt, you’re so wrong. I usually buy locally-roasted beans and make my own. And, newsflash: long before there was Starbucks, this poster was drinking cappuccinos and espressos in NYC, Montréal, heck, even at The Daily Grind in Albany, NY. Sound pretentious? Whatever. What’s ludicrous is your suggestion that Starbucks somehow invented a demand for good coffee. Nope, they just jacked up the pricing standard and mass marketed (or, attempted to, to an ignorant middle-America United Statesian audience) what many, many coffee artisans have done for hundreds of years. You don’t read very well. Maybe you should stop telling me what I said to support your arguments. Actually, you don’t have any facts. All I am saying. Now we both sound ludicrous. They never comprehended that they forgot to add ‘East” to the 15th Ave name and address and who knows how many went looking for them 2 or so miles south. I used to be a daily customer until they remodelled and overhauled existing stores so that they are too dark to read in, if one doesn’t have a laptop. Also, the furniture is primed to give people back problems, e.g., backless stools, tables that aren’t at the right height for the chairs. The other problem is their promotion of a blonde roast that utterly wiped out the presence of the dark roast, which I drink, and I resent baristas pushing the pricier Clover brew when dark roast is not available (it’s almost never available in the afternoons). 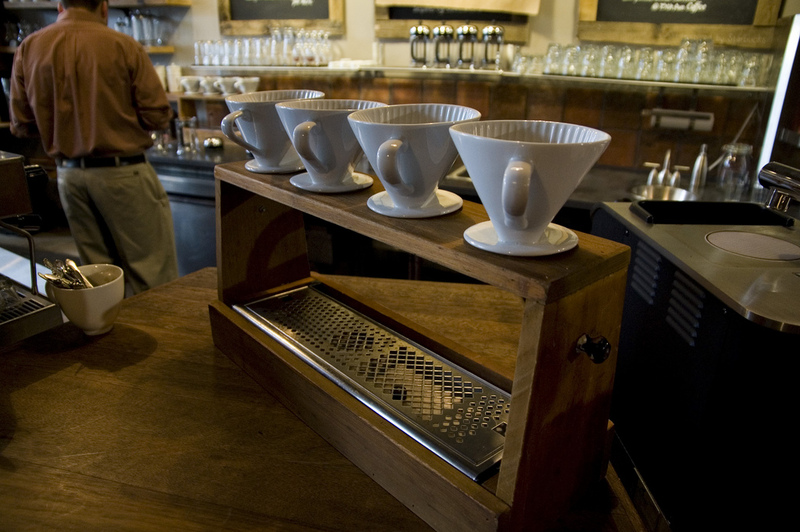 In theory there is something called “pour over” but the Starbucks on Madison goes ape if one asks them for a pourover. And so on . . .